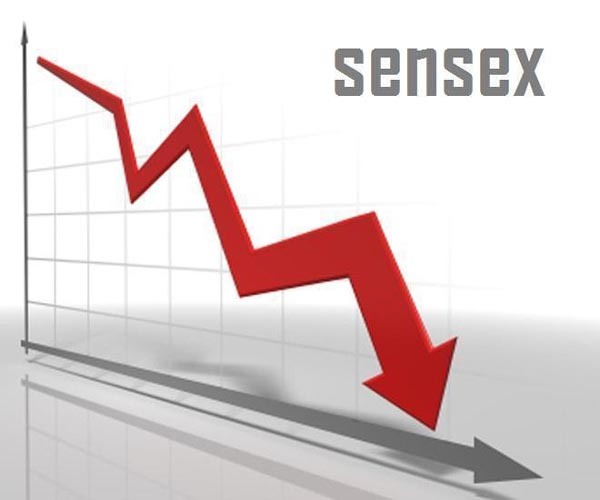 Mumbai - Snapping the nine-day winning streak, the BSE benchmark Sensex on Thursday retreated from record high to trade 74 points lower in early trade today on emergence of profit-booking, mainly in realty, capital goods, infra and oil and gas sector stocks amid weak Asian cues. The 30-share Sensex, after surging by 825 points in the past eight sessions, fell by 74.28, or 0.27 percent, to 27,065.66 in morning trade. The gauge had closed at record high of 27,139.94 after hitting an all-time intra-day high of 27,225.85 on Wednesday. In a similar fashion, the NSE Nifty slipped from record high by losing 25.55 points, or 0.31 percent, to dip below 8,100-mark to 8,089.05. It closed at a life-time high of 8,114.60 after touching an intra-day fresh record high of 8,141.90 in the previous session. The eight-day rally before today's losses saw the BSE Sensex and NSE Nifty climbing to life-time highs on the back of sustained foreign fund inflows and positive domestic and global cues. Brokers said the market was in over-bought position following recent record-setting spree on robust capital inflows and participants preferred to lock in gains at current levels, pulling down the key indices from record highs. They said the fall was also attributed to a weak trend on other Asian bourses on profit-taking following a rally across the region in yesterday's trade. In the Asian region, Hong Kong's Hang Seng index fell by 0.20 percent, while Japan's Nikkei Index edged lower by 0.17 pe cent.